What are the best UK airport lounges you can visit for free with Amex Gold’s Lounge Club passes? We have made a determined attempt this year to build up our collection of UK airport lounge reviews. We aren’t totally there yet, but we are well on the way. Having just added reviews of the Aspire (click here) and No 1 Lounge (click here) at Edinburgh Airport, I thought it was worth an overview of all the lounges which can be accessed for free via Lounge Club. Lounge Club membership comes with the American Express Preferred Rewards Gold card, which is free for the first year. 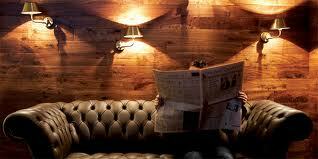 You receive two free passes to visit any Lounge Club lounge and further visits or further guests are charged at £15. My full review of Amex Gold is here. You will also receive a further two Lounge Club passes every year when you renew your Amex Gold card. The two best lounges on this list are arguably the Plaza Premium facilities in Heathrow Terminal 2 and Heathrow Terminal 4. Skytrax recently awarded the Terminal 2 lounge the title of ‘Best Independent Airport Lounge in the World’ – I’m not sure I’d go that far, but it is very good. I am also very positive about the No 1 Lounge chain. The new site at Gatwick South (the BA terminal) is impressive, as was the – admittedly a lot smaller – Edinburgh lounge I visited last week. No 1 in Gatwick North is also very good. The Aspire lounge at Luton is very well regarded and is especially worth visiting because of the chaos that is the main terminal! The Escape lounge at Stansted is worth visiting for the same reason. Of the major airports above, the main one that I am not too keen on is the Club Aspire lounge in Heathrow Terminal 5. This is generally overcrowded – you often have to wait for 30 minutes to get in – and the space inside is badly used. It is unfortunate that the new Plaza Premium lounge in Terminal 5, which opened last week, is not currently accepting Lounge Club. Getting an American Express Platinum card gives unlimited free visits! If you fly out of one of these airports on a regular basis then Priority Pass via Amex Platinum may be more useful than Lounge Club via Amex Gold. They are not the most exciting bunch of lounges though. The two best ones on the list are the SkyTeam lounge at Heathrow Terminal 4 and the No 1 Lounge at Heathrow Terminal 3. However, in both of those terminals there is an equally good alternative via Lounge Club – the Plaza Premium lounge in T4 and Club Aspire in T3. 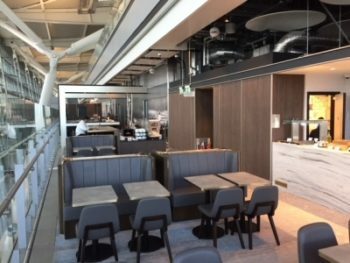 If you have an American Express Platinum card, you can also access the new Plaza Premium lounge in Heathrow Terminal 5 pictured above. This is NOT a Priority Pass benefit – it is a specific Amex Platinum benefit. You need to show your Platinum card and not a Priority Pass at the door. This lounge is currently very quiet as word has not yet get around. The same goes for the new Plaza Premium arrivals lounge in Terminal 3. Currently in BHX, had a quick peek inside Aspire and No1, both looked ok, the No1 edging it between them. Also passed through the ABZ newish Northern Lights lounge recently which was v impressive, great cooked breakfast, even has real ales on offer. Manchester just took back the Escape lounges and ‘revamped them’. NSFW link due to awful MEN autoplaying videos on every page. T3 was full at 10.30 am on Friday! I’ll be there at 7am on Wed with my lounge club, we’ll see what happens. It is all fine saying unlimited entry etc, turned away from Newcastle with my priority pass as they were only accepting pre bookings! Why have I been denied access to a lounge on the Priority Pass program? We apologize for the inconvenience. Sometimes lounge operators will impose restrictions based on lounge capacity, to ensure guests have a pleasant experience. I was in the No1 Lounge at Gatwick South yesterday. Not too bad. Wasn’t too busy so fairly relaxing. Food and drinks were adequate. Could maybe do with more cleaning but I’m probably super fussy.